Thanks for all the comments. I did a lot of reading and decided to order a stand for £7.99. But it's actually a decent one from what I can tell. And it it doesn't work, I'll put some proper cash into buying a different one. Did an unboxing of the Sennheiser Game Zero headset I bought refurbished from the company. Microphone test at the end. As an aside, this is the first video I've edited my iPad Pro 9.7", using a piece of software called PInnacle. My old Plantronics headset died this week. For the most part I loved it. They were over the ear style with the tension band. Never had any issues with comfort. As a stopgap, I grabbed the Creative Fatality headset my son uses. I'm pretty shocked at the difference in sound. Those old Plantronics had very low fidelity or were worn out for quite a long time. Suddenly I'm interested in some decent sound quality. Searching for a gaming headset has proven to be confounding to me. I'd like to spend about $50. I'm not married to the tension band style but it's all I've known for quite some time. What does the collective say? I'm not a serous audiophile looking to notate every sonic flaw. I do game, shooters on occasion and MMO'S. I don't think I need a $200 rig. I've used the dual 3.5 jacks since forever. Never used a USB headset. Almost all of the headers I listed above are jack vs USB. Is it time for me to get over the fear I have of a USB headset? Their previous models the Cloud and Cloud 2 were pretty much the headsets to beat under $100 and the Stinger is their brand new model at $50. I like what I'm ready about that headset. Seems to hit all the right notes. One or two complaints about the mic quality. So I was thinking about picking up some wireless headphones for working out and saw the black Jaybird X'2s on sale for $59 on amazon. There are also TaoTronic (never heard of them) one's for only $30. I've got some generic wireless for working out that were about $20. I know a guy that runs a fitness site, and he killed multiple pair of Jaybirds with sweat before he ended up falling in love with a $20 pair of Aukey's that never die on him (cyclist in FL, so lots of sweat). Sound's not as important to me in workout headphones. Fit and stability are. Those are hard to decide on without trying, unfortunately. The one thing I can say about Jaybird is they will replace headphones with little to no questions asked. John Stone went through 5 pair of Jaybirds in a year due to sweat failure. Lots of downtime waiting on replacements. Here's a post about all the stuff he's killed with sweat, with talk about the cheaper option Aukey's (there are updated models vs what he used). I'd say most people wouldn't sweat as much as he does on his rides, though. Lots of people like the Jaybirds. Man, I'm a big head sweater. We are talking Micheal Jordan levels of head sweat. Thanks for the info. Gonna do some more browsing. Sometimes I wish I could be the kind of person who just walks into Best Buy and picks up whatever looks cool instead of reading up on everything. Edit: Just realized the $60 on those Jaybirds was for a used pair. Sneaky amazon. TaoTronics are the best quality of the cheapy no-name Chinese ones (I have 4 pairs from different manufacturers). They also are the least abusive with cheesing the Amazon review systems. Specifically, these are my go to workout / running headset. I sweat a ton too. If I forget my headband I am a mess halfway through the run. Think I'm going to give a set of Aukey's a try, my poor wired Shure IEMs have been getting incredibly abused by my workout sessions and I need to find a replacement. $22 is not a terrible ask for something I'll be mainly listening to podcasts with. Looking for some new earbuds with a mic, willing to pay up to 40 bucks or so. Recommendations? They are going to be used plugged into my ps4 controller and my phone during lunch at work so sweat is not a concern. I remember Klipsh being mentioned here, feelings on these? Not tried those particular ones, but Klipsch seem to be some of the most comfortable IEM's for MY ears. YMMV. Another comfortable and cheap option I've been using lately are the Xiaomi hybrids. Order them from somewhere like Gearbest, banggood, geekbuy, or other Chinese retailer, and they're sub $20. Comfortable with decent sound. Plus Android focused remote, vs most that have iphone remotes that only give you play/pause functionality on the phone. You can probably buy them for slightly more on Amazon. So I ended up getting these. They sound good to me so far. 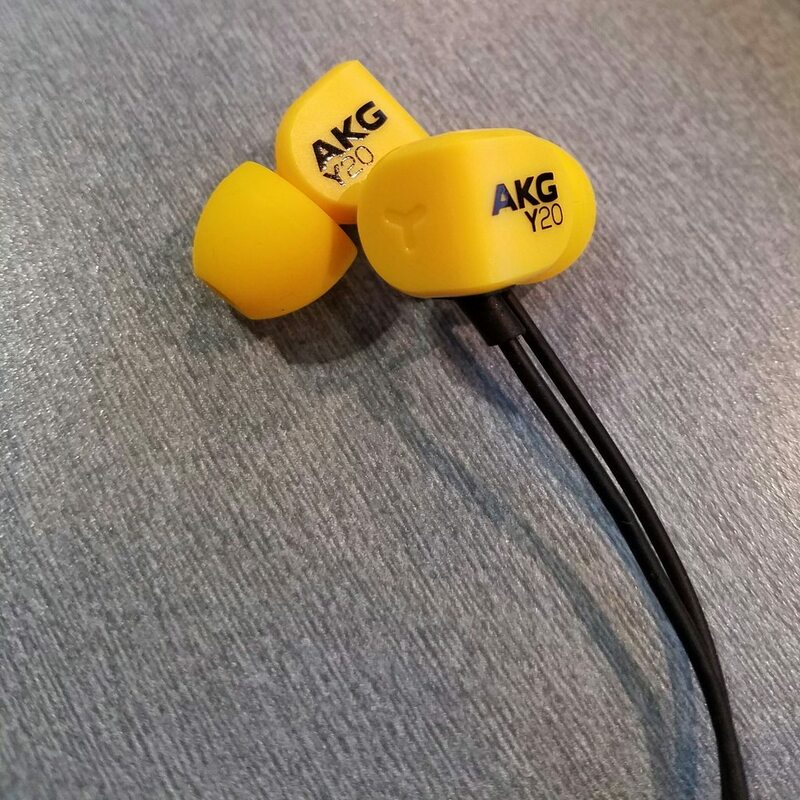 I enjoyed my akg cans so I kept it in the family. Those are pretty good bargains. Unfortunately, they just don't fit me well. So they're my backups in case I leave my other IEM's home. For my primary cheap IEM's right now, I've been using the Xiaomi Hybrids. For $20, they fit well and sound better than I would have expected for that price. Plus Android compatible remote. Anybody else see that Massdrop is now going to release a custom set of Sennheiser 650s? Dark blue, with a different cable than the originals, but pretty close otherwise for $200. Yeah I saw some complaints that they didn't fit people super well, luckily I have giant ears so they slip in pretty good even with the big tips on. And the Xiomis after your recommendation would have been my second choice. If these don't hold up I will give those a go probably. My Y20s are still going strong although I somehow lost the wonderful little case. They came up awhile back in the thread. Yeah, saw that e-mail today. I'm definitely interested, the Hifi-Man HE-350's I got recently through Massdrop are OK, but they're a bit vice like and not suitable for listening on the go. And knowing the pedigree of the HD6xx series this should be a pretty sweet deal if they haven't change the design too much. Worth a try at the very least. There is no way in hell I will be able to resist Sennheiser 650s at half price. No way. Yeah if I didn't already have 650's I'd be in for those too. So if you were deciding between a $50 ballpark pair of gaming headphones for a Mac, would you choose HyperX Cloud Stinger Gaming Headset, Turtle Beach - Ear Force X12 Amplified Stereo Gaming Headset, or something else? Thanks! Not sure if its just me, but I have only heard that Turtle Beaches quality has gone down as of late. On the other end of it, I have heard only good stuff about that new Hyper X Stinger Headset. I have a pair of Plantronics Rig 500. I use them on PS4 and PC. I assume they would be fine for Mac. The audio quality is on par with everything else in the price range. They are very light and have open cans, which makes them practically disappear. They have few moving parts which means they are pretty rugged but not very adjustable. Better get a bluetooth headset before Apple recalls all the Macintosh models with earphone jacks. Looking for wireless gaming headset options for my son. He's constantly ruining headphones that have a cord so no more. How is he ruining them? I have the corsair voids and loved them, and kind of out of nowhere they just started cutting in and out. Tried uninstalling and reinstalling the drivers, different ports for the dongle it came with, nothing. Still not sure what the issue is with em.